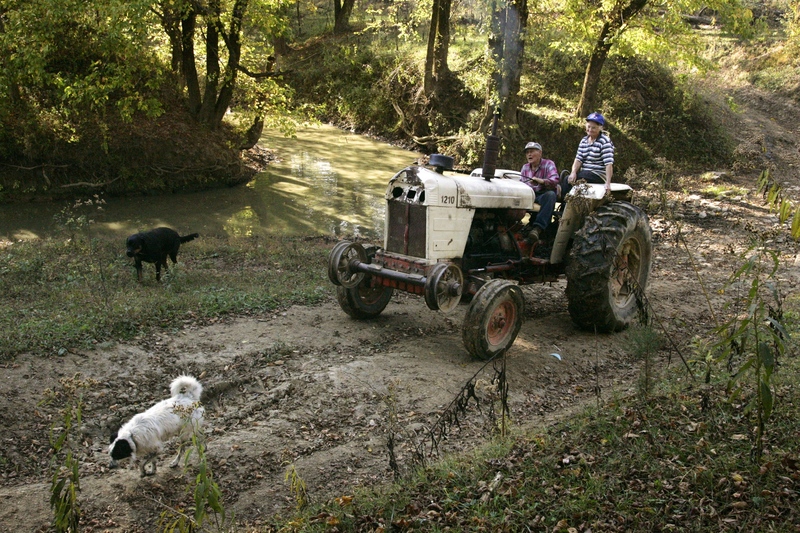 Bert and Louise Buntain, inseparable since marrying in 1942, ride home on their 1954 David Brown tractor after calling their cows. 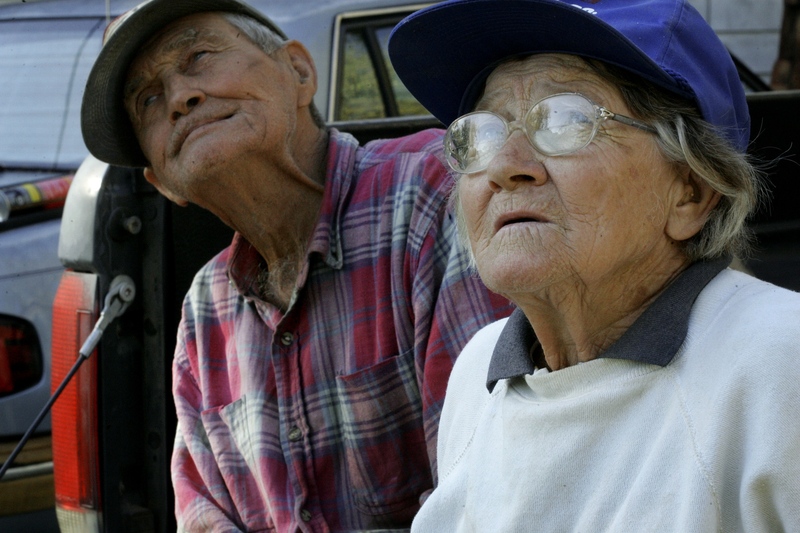 Bert and Louise look at trees on their 337-acre farm. 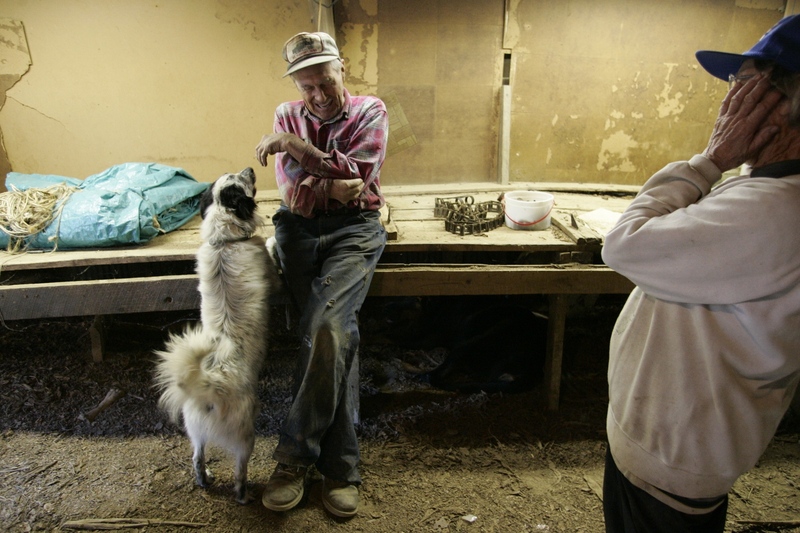 They have 43 beef cattle, 14 calves, two dogs - Girl and Bandit - and three cats they call "the cats." The Buntains pray before breakfast. For the past 30 years, Louise has taught Sunday school and Bert has been a deacon at Corinth Christian Church. Louise Buntain inspects the hand of her husband Bert. Bert injured his hand while welding on his truck. 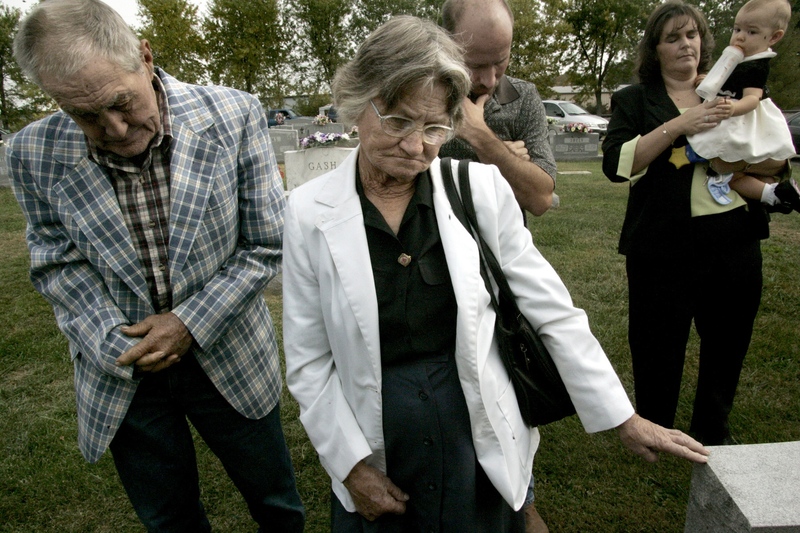 The Buntains attend the burial of 95-year-old John McGaughey, the grandfather of their daughter-in-law. "If he knew Jesus Christ died for him, then he was looking forward to meeting him in heaven," Bert Buntain said. 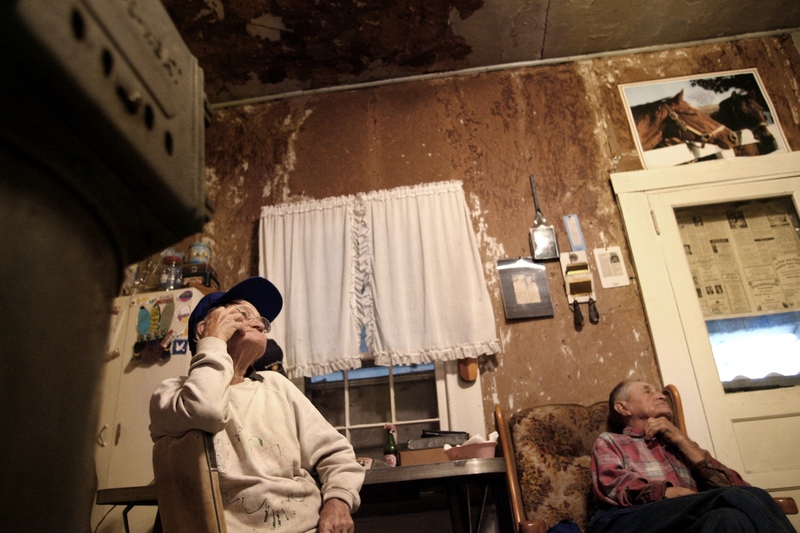 Bert and Louise Buntain, married in 1942, sit in their Anderson County home where they have lived for 33 years. "Ain't nobody else would have us," Bert Buntain said. "We'll probably hang together 'till we're gone." Louise Buntain makes her bed in the morning. 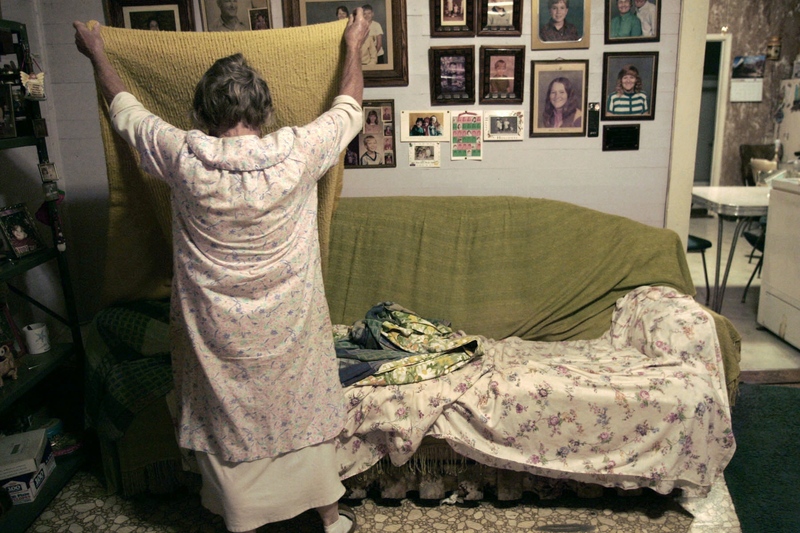 She and husband Bert have slept in different beds in the same room since 1983. "It's a small bed. Just got in the habit. He wiggles. I wiggle," Louise said and laughed. Bert Buntain never gave his wife of 63 years, Louise, a wedding ring. "I bought her a dress," said Bert, 82. "It wasn't no expensive dress. No thousand dollar dress. I didn't have no ring neither, but we got married anyway." It was a courthouse wedding that almost didn't happen since Louise was going with one of Bert's friends, and Bert said he did not want to interfere. But after Bert registered for the draft, Louise pulled him aside. "She said, 'Bert, I don't want you to go to the Army. I want you and me to get married.' I said, 'You mean what you said?' She said, 'I mean it all,'" Bert recalled. 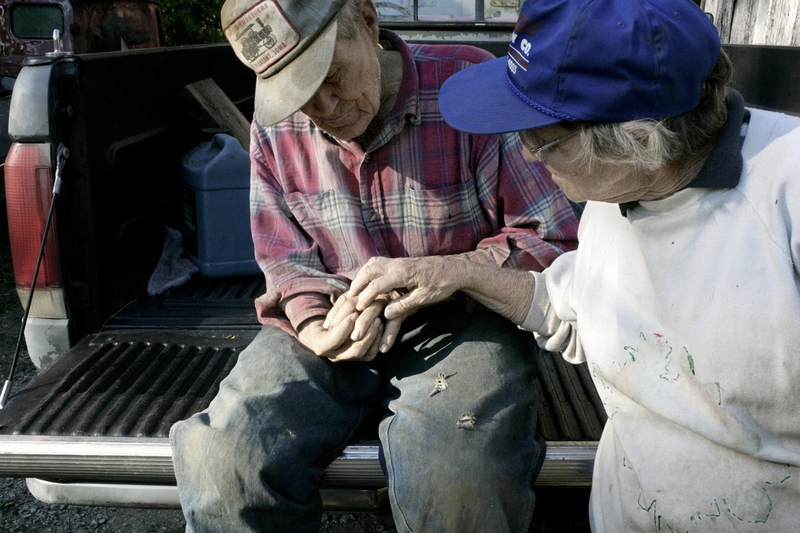 Their marriage has been a partnership in laughter, land and loss. Through the years they have farmed 337 acres of pastures and hills. They suffered the early deaths of two of six children. They believe in working hard with their hands and don't mind getting dirty. Louise being a woman and Bert's deformed right hand never stopped that. "Mamma and Daddy, I guess you'd call 'em, well, old country," said Bertram Buntain Jr., the youngest of the Buntain's children. Plain and practical, Bert and Louise, who both wear baseball caps, don't dress up except when they go to church. Louise said they had their troubles once. Bert used to stay out drinking all night with his brothers. "I felt like beating him up, but I didn't," she said. "When you get married, it's supposed to be forever."